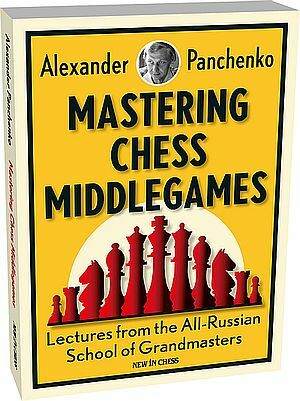 Grandmaster Alexander Panchenko's renowned middlegame masterpiece has been given the full Chessable treatment in this new, upgraded edition that comes with more than 7.5 hours of optional video-sync instruction from New in Chess. IM Lorin D'Costa and Nick Murphy bring Mastering Chess Middlegames to life in a way that's never been done before. The pair explain and demonstrate in detail all the themes contained in this classic text in a simple and straight forward way that players of all levels can understand. 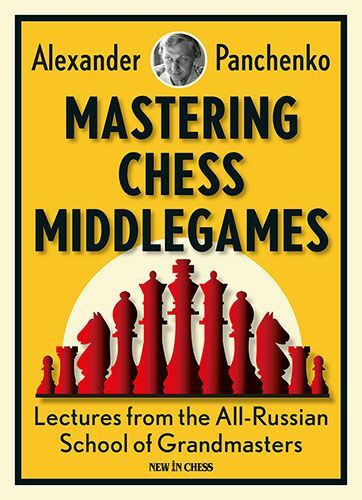 So sit back, relax and learn chess middlegames the Panchenko way. GM Panchenko (1953-2009) was one of the most successful chess trainers in the Soviet Union, and later in Russia. Panchenko ran a legendary Russian chess school that specialised in turning promising players into masters. The secret of his success were his dedication and enthusiasm as a teacher combined with his outstanding training materials. 'Pancha' provided his pupils with systematic knowledge, deep understanding and the ability to take practical decisions. Now, his classic Mastering Chess Middlegames is for the first time available on the Chessable platform with MoveTrainer , giving you access to his unique training method. In each chapter, Panchenko clearly identifies the fundamentals, formulates easy-to-grasp rules, presents a large number of well-chosen examples and ends with a wealth of practical tests. The brilliance of Alexander Panchenko's didactic method shines through in this book. Our Chessgod101 forum's Friend Malanjuk buy this course as a gift to our forum, I'm going share this on behalf of him.So thanks to him for this gift!!!! Thank You Malanjuk For This Gift!! All thanks to the original persons sharing materials. These videos have been cropped to cut out the unneeded video of the presenters leaving only the chessboard. Alexander Panchenko (1953-2009) was one of the most successful chess trainers in the Soviet Union, and later in Russia. His legendary chess school specialised in turning promising players into masters. "The deeper I went into the book, the more fresh and fascinating material I found (..) There is a lot of highy instructive material crammed into this book, which can be used for self-improvement and by trainers and coaches also." "After the positions to solve are given, a selection of positions to play out is given as well. This is something that Panchenko was renowned for: having students play out positions against one another during training sessions (..) It’s certainly one of the best training manuals I have cracked open in quite some time (..) Not only should those seeking to improve their own game purchase this book, but coaches should as well." "I really enjoyed this book. It provides you with a very systematic way of looking at chess middlegames (..) Extremely instructive, with many fresh examples." "A practical guide to navigating standard middlegame situations and themes with an emphasis on active learning (..) After working through these pages and honing your skills in solving typical middlegame problems, you might fulfill Spielmann's dream and find yourself in the types of positions from which combinations flow." "A very practical book for players that have reached club level." "The author uses examples where there is no obvious way to think of the right move. A glorious queen sacrifice followed by checkmate in two is not available but a sly pawn or king move is often the answer which make you think (..) I can happily endorse Panchenko." Thousands thanks Jiri, ramox123 and Malanjuk for sharing this magnificent material!!! NB! Tiny videos have the same resolution as the original videos. Videos are not cropped, so you can see Lorin D'Costa and Nick Murphy. When you copy+paste the password, make sure that there are no extra "spaces" at the beginning or end of the password. Does anyone have PGN of this book? If yes, then please share. Thanks. can someone re-upload the full version ..... ?? If I remember correctly this course I did not see it shared in immortal.